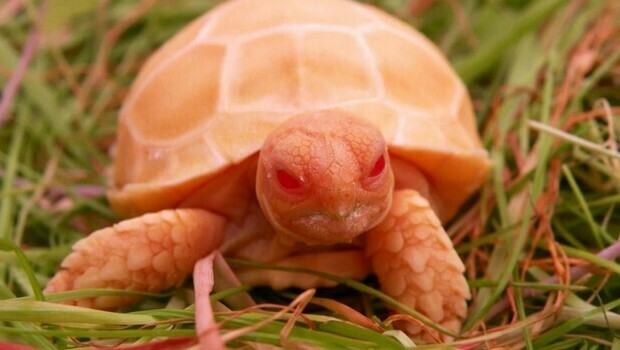 Have you ever seen an albino tortoise? Yes, there are on this world, they live and they are well. You can see one specimen in action in the video below. 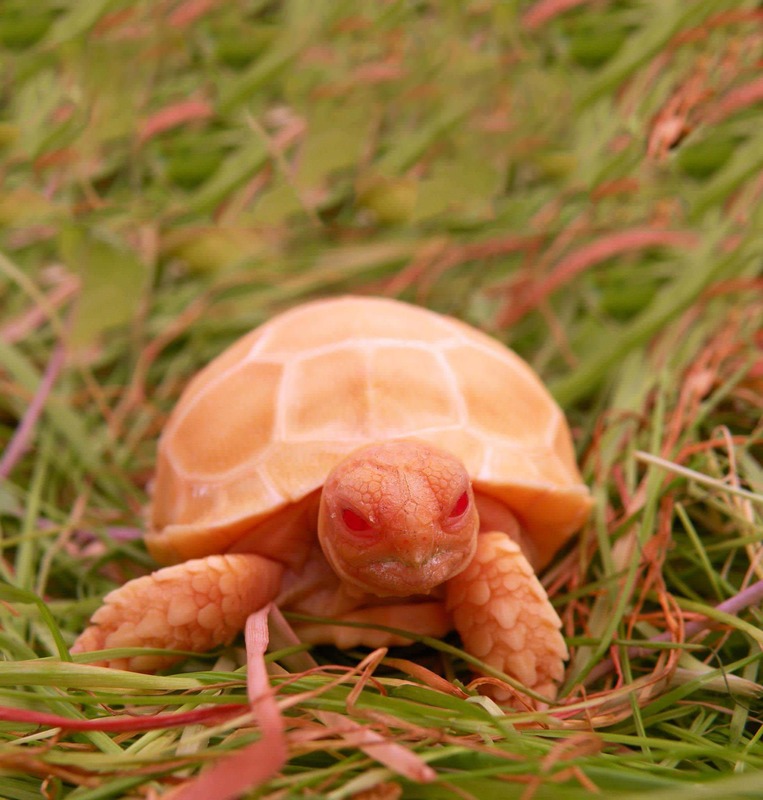 It is an ivory-white tortoise with a pair of pinkish eyes who look so very cute, they could make baby albino tortoise dolls. Why not? What you should know about this species of tortoises is that they are normally pale tan or have a straw-like color, so the difference between an albino tortoise and a normal one is not so big. So, yes, the sulcata tortoise is special in every way. But this albino one is a rare thing of beauty. It shows up in one-fourth of the cases, in baby tortoises produced from pairing two normal-looking parents; although they look normal, they might carry the genes for albinism. The albino tortoises have to be taken care of with more consideration than usual. The owner has to provide plenty of shade so that the tortoise does not sit in direct sunlight all day. Amelanistic reptiles have more sensitive eyes that might be hurt in the broad daylight because they don’t have the pigments who help shield the lights of day. Sulcata tortoises are very active during the day, so shade should be the first and foremost thing that the owner has to offer her. Apart from that, they are some very cute companions to have along. They seem very optimistic and happy, or at least the star of the video below. They’re like babies, you have to take care of them and enjoy their company. Just look at that cutie, wouldn’t you do the same? ← Previous Story 8 Best Face Cleansers To Keep That Skin Shiny And Clean!